Blaine and Kim Baker will receive the 2019 MSU Dairy Farmer of the Year Award. 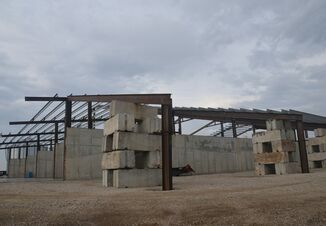 Bakerlads Farms is the brothers’ fifth-generation farm in Lenawee County, Clayton, Michigan, which has been in operation since the 1870s. 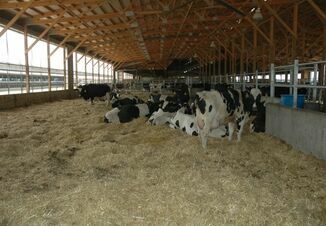 The award is given by the Department of Animal Science at Michigan State University and will be presented during the Dairy Industry Banquet on Friday Feb. 8, 2019, at the Great Lakes Regional Dairy Conference in Frankenmuth, Mich.
Bakerlads Farms includes a dairy herd of 540 Holsteins and 607 replacements, as well as acreage for crops, including corn, soybeans and alfalfa. 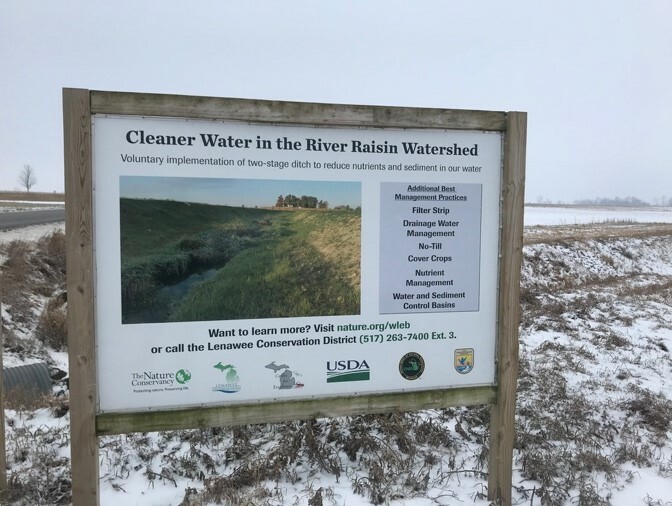 The farm is Michigan Agriculture Environmental Assurance Program (MEAEP) verified in livestock, farmstead and cropping systems, and evaluated under the National Dairy Farmers Assuring Responsible Management (FARM) program for animal care. Kim and Blaine formed their partnership in 1984 to continue the family dairy operation. They share responsibilities managing the milking herd and replacements. Kim has primary responsibility for employee management and machine maintenance, while Kim’s wife Donna does the accounting. Blaine has primary responsibility for managing the cropping enterprise and record keeping. The dairy has Dairy Herd Improvement Association (DHIA) rolling herd averages reaching nearly 30,000 lb., currently at 27,410 lb. of milk, 951 lb. of 3.5 percent fat and 805 lb. of 2.9 percent protein, with an average somatic cell count of 115,000. In 2016 a new double 14 parallel milking parlor was installed, improving milking efficiency and employee environment. 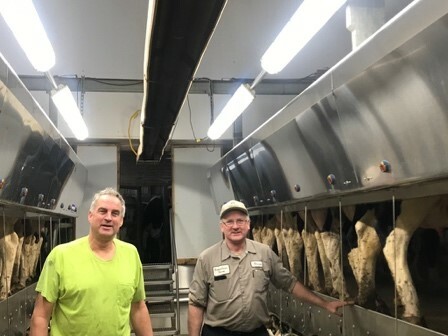 Kim and Blaine built a new parlor in 2015-16, which has reduced milking time and improve employee shift times and the parlor environment. The Bakers emphasize soil and water conservation in their dairy and crop operations. They are involved with the USDA Natural Resources Conservation Service (NRCS). 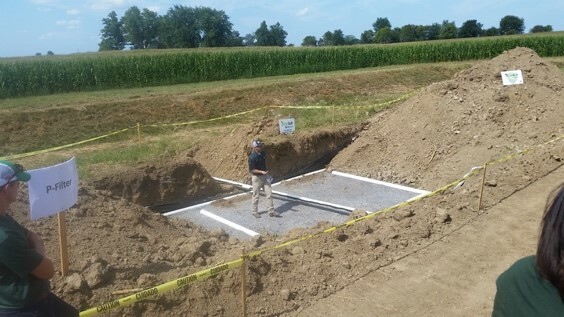 In addition to erosion control practices and updated waste storage facilities, no-till methods have been part of the operation since 2008. The Bakers were key supporters in organizing the Lenawee County Center for Excellence. 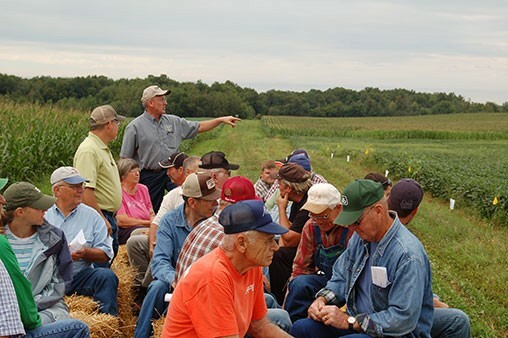 The Center for Excellence’s annual field day has been held at Bakerlads for 22 years, allowing producer research and development on new methods of production, with an eye on conservation. Area farmers benefit by learning from the results. The Center for Excellence Field Day is an annual, highly-anticipated event for farmers. Photo courtesy of Lenawee Conservation District. Blaine Baker noted, as part of the National Association of Conservation Districts’ Soil Health Champions Network, “As far as our operation, we are committed to no-till, so when we purchase a new piece of ground, it gets no-tilled.” Cover crops are used for nutrient retention, soil conservation and soil organic matter. 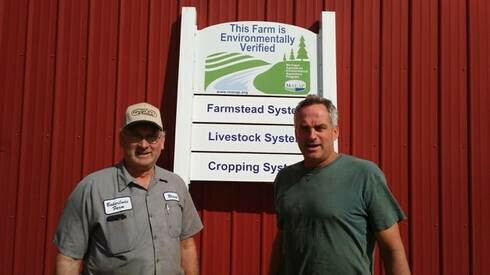 “The Bakerlads Farm is just one example of how integrating conservation practices throughout the farming system, and attention to detail in on-farm nutrient management can keep crop nutrients in the root zone and out of waterways” noted Tim Harrigan, professor and Extension specialist in MSU’s Department of Biosystems and Agricultural Engineering, in a 2015 MSU Extension article highlighting Bakerlads. Demonstrating a phosphorus filter on a tile outlet. Photo Courtesy of Lenawee Conservation District. Water management, water quality and effective drainage practices are key aspects of the Bakerlads operation. 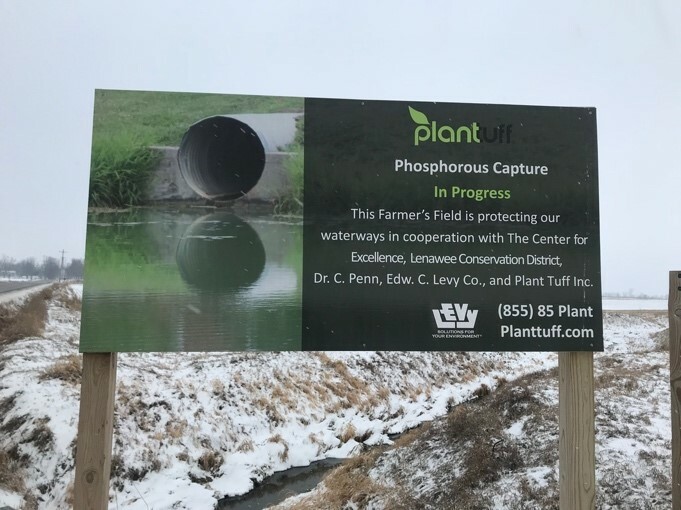 The farm incorporates two stage ditches, blind inlets, buffers along ditches and closed-loop nutrient recycling and does edge of field water sampling and applies fertilizer using variable rate technology. Blaine and Kim’s commitment to their farm, as well as their community and state, is exemplified by their service on various agriculture-related boards and committees, including the state Farm Services Agency Board which Blaine currently serves on; he is chair of the Soil and Water Conservation District Board, and Kim serves on the Lenawee County Holstein Board and the MSU Extension Dairy Advisory Team. They have been recognized as Tel-Farm Managers of the year and as Lenawee County Conservation Farmers of the year and have received the Michigan Farm Bureau Ecology Leadership Award and a number of milk quality awards from Dairy Farmers of America. Blaine and his wife Barbara have a 29-year-old daughter, and Kim and his wife Donna have 5 children ranging from 23 to 15 years of age. 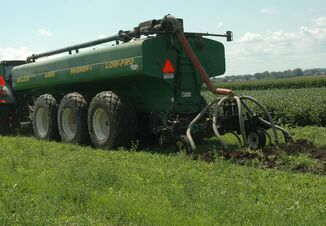 Two conservation methods used at Bakerlads Farms include two-stage ditches and phosphorus capture.